Did you know that 64% of online marketers plan to increase their email marketing budget in the following year? And one in four marketers state that email is the best channel for delivering excellent ROI (The State of Email Marketing by Industry, January 2016). 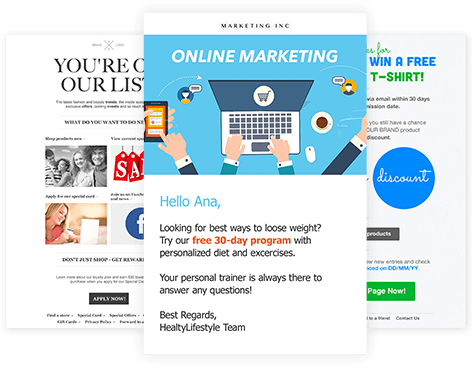 Consider upgrading your online marketing with advanced GetResponse email marketing solutions that are low-cost budget items. You have a list with hundreds or thousands of subscribers but need fresh ideas on how to monetise it, right? Whether your subscribers are interested in health, weight loss or relationship building, assign related tags and send them content that is highly relevant to their individual needs. Utilise those custom fields in your communication workflows to create highly targeted subscriber journeys. Personalise your follow-up messages with the user’s name, photo, or location, to maximise engagement. Consider offering an affiliate marketing programme and running targeted drip campaigns to build long-lasting relationships. Import contacts with API integrations or collect them using online surveys, mobile apps, and customised forms on landing pages and Facebook. Squeeze the most out of small-business strategies for limited advertising budgets. Generate traffic by increasing readership on smartphones and tablets with messages that fit every mobile device perfectly. Send offers at the exact time each subscriber is most likely to open your messages. To keep your budget low, distribute your content globally via RSS feed or let your readers share your offers in a flash on social media. 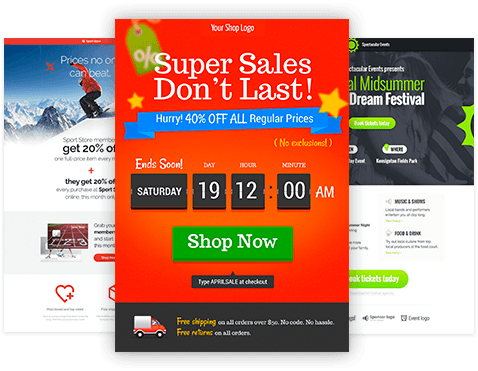 Drive sales with an affiliate marketing programme, giving it a professional look with ready-made templates and multiple design tools. Create conversion-focused automation workflows, aimed at turning subscribers into customers. Customise your sign-up forms and place them on your landing pages or Facebook. Include a lead magnet such as a free guide and entice prospects to access it via a download box. 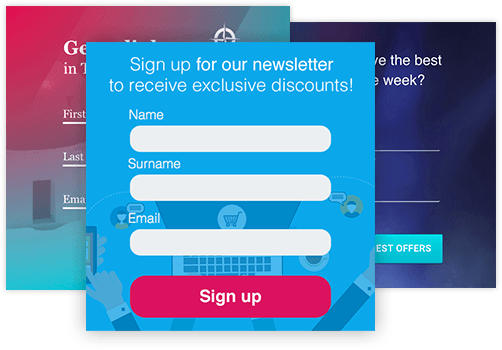 Use exit pop-ups, shake boxes and scroll forms to speed up your list building in a fun way. Integrate with commercial applications, social media channels, and tracking tools to consolidate all of your subscriber lists. 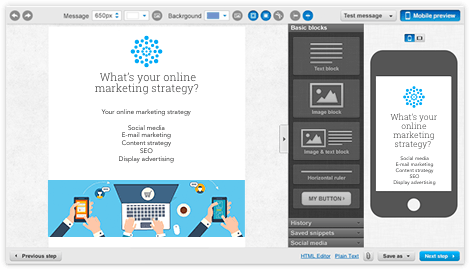 Include free iStock visuals or add your own videos to download boxes for your e-books and reports. Post links to invite guests to your webinars, offering limited seating to increase urgency and maximise participation rate. Increase readership with a responsive design so your landing page fit the screen of any mobile device. Send an automatic welcome email, including a video greeting, and personalise it with the reader’s name and location. 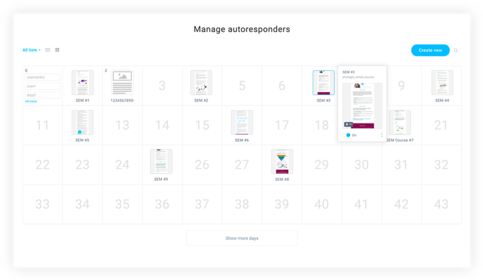 Ask about readers' preferred frequency for receiving updates, and then build separate email campaigns, each with a distinct intensity and frequency. Assign tags to reward your customers for actions, and then segment your subscriber list based on their level of engagement. Include automatic alerts and reminders to follow up with those who do not open your messages or click the links. 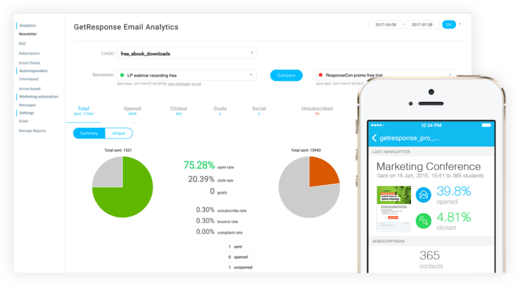 Keep an eye on your bounce rate and unsubscribes, analyse opens and clicks, and track your goals for better results. Your customers will love the incredible campaigns you create using GetResponse. Find out what GetResponse can do for your online marketing.